Just in time for the holidays. 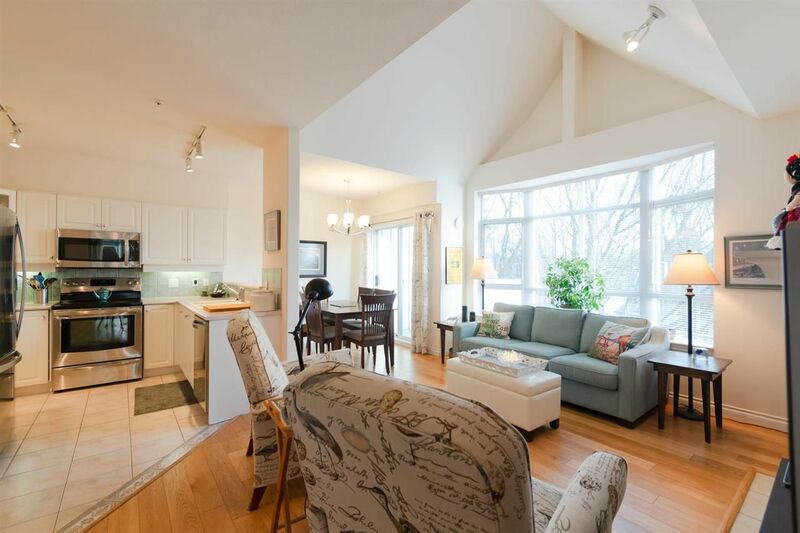 A top floor, corner suite with 2 beds, 2 baths, 2 balconies and 2 parking at Davenport Lane. Nestled among leafy trees in the summer and an open sky in the cooler months, the light is lovely. Vaulted ceilings add to the openness and the gas fireplace is wonderful to cozy up to. Radiant floor heating throughout, California closets and new appliances add to the comfort. Nice, large floorpan at 929sf (strata plan reads 896sf). Davenport Lane is a non-smoking building. It's very well cared for and has a brand new roof, a walk score of 96 and bike score of 98! Just steps to the Arbutus Greenway; groceries, coffee shops and transit close by too. Storage included and 2 pets (yes, dogs too).